Just as mineral wealth – oil in particular – is a major reason for wars (look no further than Iraq), many would argue so, too, is heroin. Afghanistan being a case in point. Afghan farmers collected raw opium in a poppy field. 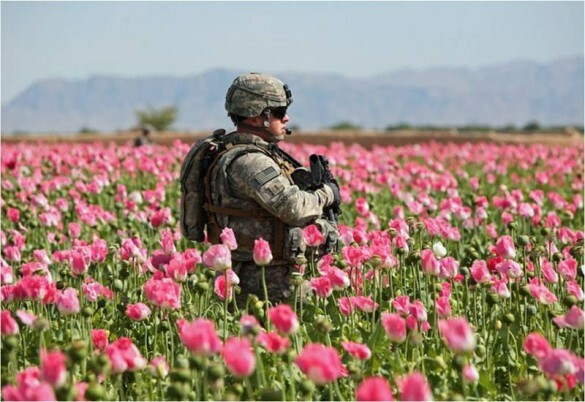 Operation Enduring Freedom, the on going conflict in Afghanistan that was sparked by 9/11, has rather uncharitably been called Operation Opium by those who subscribe to the theory that heroin is behind that conflict. One who subscribes to that theory is Canadian economist Dr. Michel Chossudovsky, author of The New World Order and perhaps the foremost authority on drug wars. 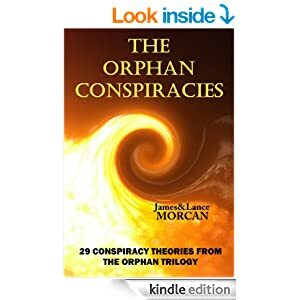 We quote the good doctor extensively in a chapter titled ‘Drug Wars’ in our book THE ORPHAN CONSPIRACIES: 29 Conspiracy Theories from The Orphan Trilogy. The documented Northern Route for drug trafficking out of Afghanistan. In the same article, Dr. Chossudovsky says in the previous four years there was a surge in Afghan opium production. 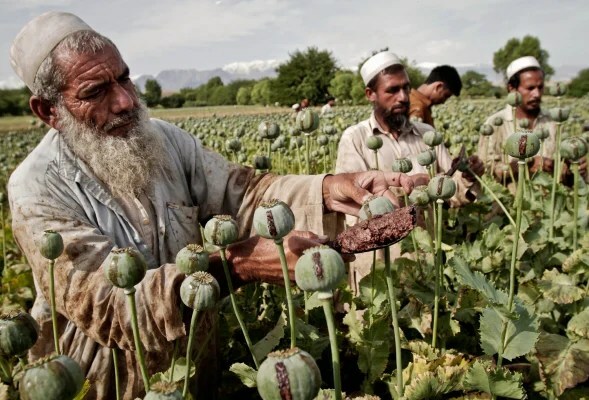 He quotes UNODC (the UN Office on Drugs and Crime) figures which reveal that poppy cultivation in Afghanistan in 2012 covered an area of more than 154,000 hectares; he also quotes a UNODC spokesperson as confirming in 2013 that opium production is heading toward record levels. Dr. Chossudovsky is also extensively quoted in the GlobalResearch.com site, which provides some of the most credible, in depth research and reporting on the Afghan drug trade. On alert in a poppy field in Afghanistan. “Heroin is a multi-billion dollar business supported by powerful interests…One of the ‘hidden’ objectives of the war (in Afghanistan) was precisely to restore the CIA-sponsored drug trade to its historical levels and exert direct control over the drug routes. Dr. Chossudovsky claims “the Afghan narcotics economy was a carefully designed project of the CIA, supported by US foreign policy”. History lends some weight to the doctor’s claims. Out of the chaos that followed the Soviet-Afghan War, the ruling Taliban decreed that opium production be significantly curbed. That ruling was followed by another ordering that opium cultivation cease totally. A solitary US Marine patrols a poppy field in Afghanistan. There has been considerable speculation that America’s invasion of Afghanistan was prompted by this development. Whether true or not, one result of that military action is not in doubt: the opium ban was quickly lifted and Afghan opium production rapidly rose to record levels. Of course, this could be passed off as coincidental. 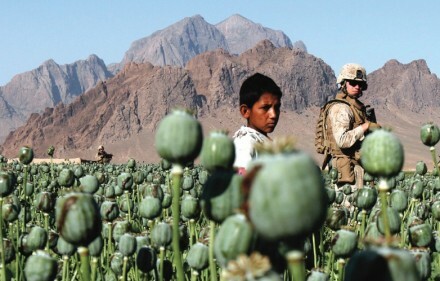 An innocent result of an invasion that saw Afghanistan’s war lords back in control and opium growth thriving once again. Indeed, that’s the official line and that’s how many perceive it. However, if commentators and researchers are united about any one thing it’s that the CIA is inexorably linked to Afghanistan’s illicit drug trade and has been, in the words of one commentator, “since the agency funded Taliban fighters to oppose the Soviets”.